Christmas gifts baskets have got to be some of the greatest creations of all time. Whether you have someone on your list who is especially difficult to buy for, you have long distant friends or relatives, you are searching for a great gift for your coworkers, or your loved one is a gourmet food fanatic, gift baskets hit the spot for everyone. They come in all shapes and sizes, and they are packed full of surprises that add that special touch to your holiday celebration. If you’ve been thinking about giving Christmas gift baskets to your loved ones this year, forget about those generic ones you’ve seen down at the discount store. 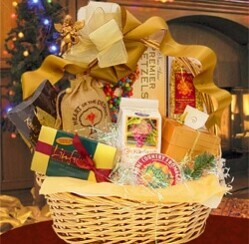 ChristmasGifts.com has a magnificent variety of high quality gift baskets your recipients are certain to love. There are so many Christmas gift baskets available on the market these days that selecting the perfect one can be a bit intimidating. Fortunately, we have put together a few helpful tips to ensure you choose the best one for your loved one. For each recipient, make a quick list of hobbies, special interests, favorite foods and unique traits. 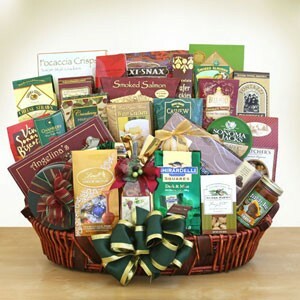 This will help you decide what type of gift basket will be most suitable for your loved one. With great gift baskets that are overflowing with gourmet treats, fresh fruits, and so much more, even the pickiest recipient is sure to be impressed. Create a Christmas shopping budget. Here at ChristmasGifts.com there are numerous magnificent merchants that offer Christmas gift baskets in a wide variety of price ranges. While a small, less expensive gift basket might be appropriate for someone who is single or a recipient that you don’t know very well, a larger, more elaborate basket might be a better choice for a group of coworkers or someone you are very close to. your loved ones all year long how much you care. 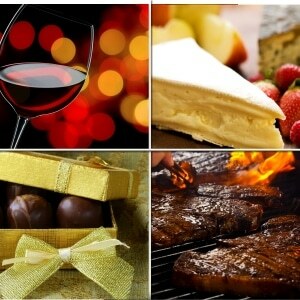 Choose from wines, beers, cheeses, pies, and even gift cards to great restaurants or stores. You can even decide how often you would like the newest selection to be delivered! 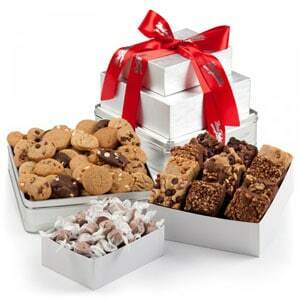 And if you can’t decide which monthly gift to give, be sure to check out a variety mix club. What is your favorite type of Christmas gift basket? Let us know- and be sure to share us on Facebook!